Such beautiful greens now that we're in the cooler weather! This is the first week we're harvesting our Georgia Greens. Need home delivery? We offer home delivery to many of the communities we serve (North San Diego Coastal, South Orange County, Fallbrook, Rainbow and Temecula. Just ask! 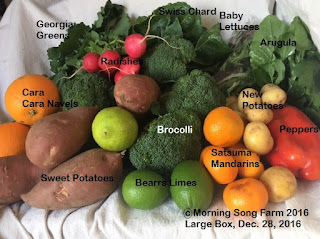 To communicate questions about our beautiful, organic produce boxes here's the link we've set up specifically for our produce box customers so that communications don't get lost in our inbox:click here. We'd love to hear from you! Want more information? 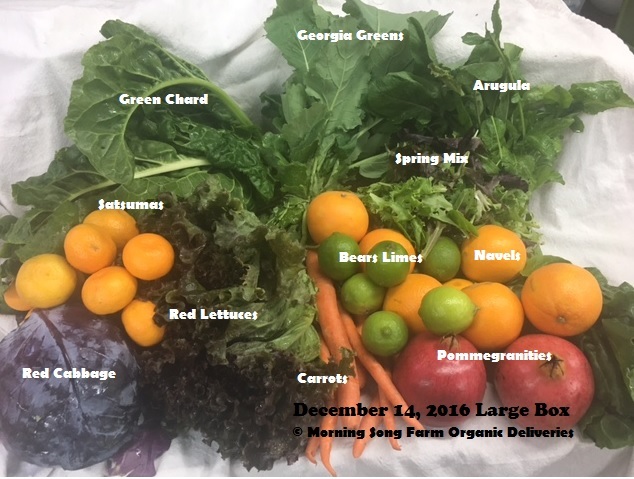 Here's our website: www.morningsongfarm.com.